The Audi R8 - it was built to take your breath away! Audi's leading designers have pushed the boundaries of racing technology, futuristic construction and luxury refinement to deliver a genuine masterpiece. 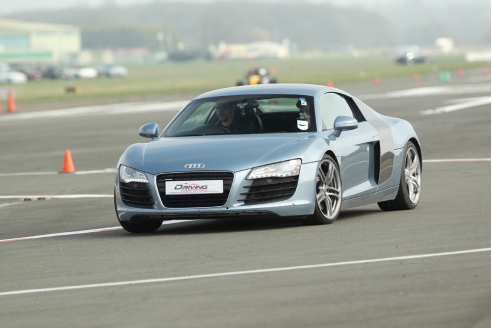 With its 4.2 litre V8 engine, 414bhp, four-wheel-drive and a top speed of 187mph, the R8 is simply awesome!